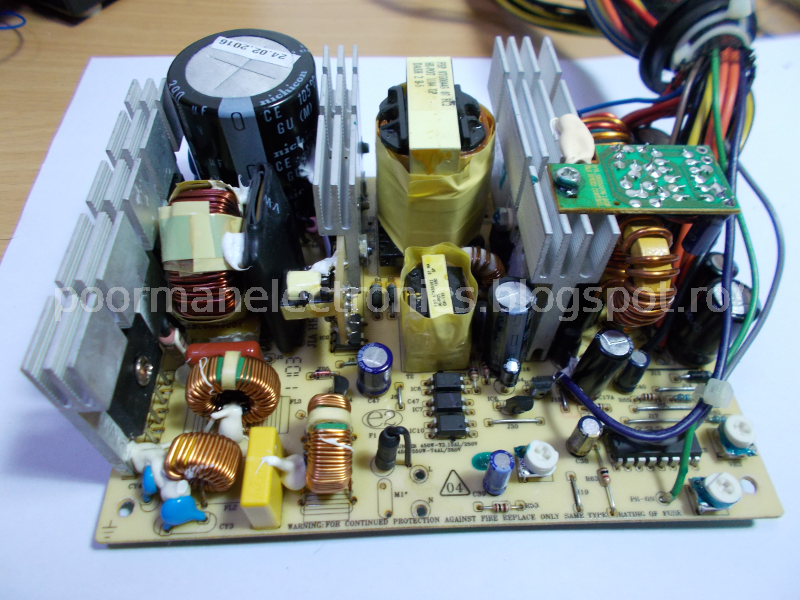 Last week I got this older computer PSU from the local flea market to replace another one which was retired. Luckily, the old one went out without taking any other components with it, so all that was needed to have a fully working computer was to get a decent PSU. 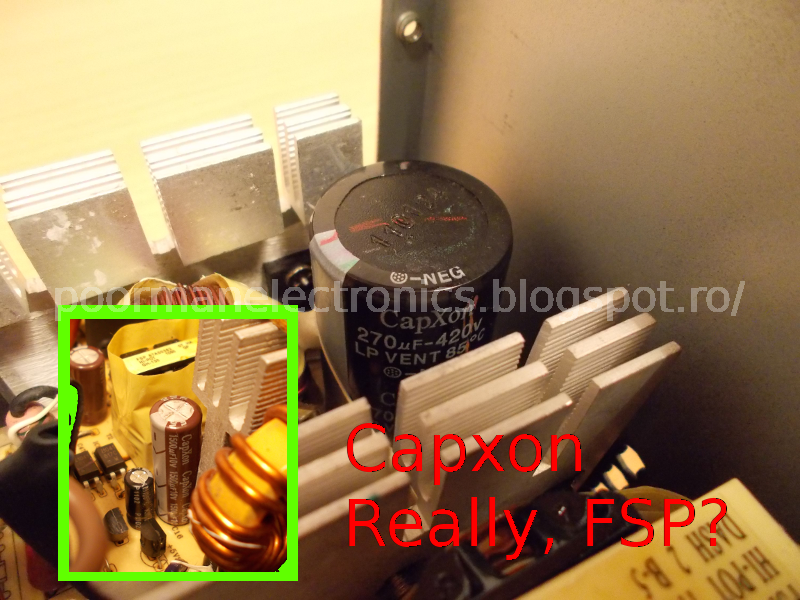 The "new" PSU is a Fortron (FSP) Hexa HE-500 model. I thought that it would be a good idea to go with FSP since it's a well-known brand, respected by many people, and one of the biggest OEMs in the world. I've had laptop chargers made by them that worked almost daily since ~2006 without any problems at all. Yes, a nightmarish cocktail of CapXon, OST and Teapo capacitors. CapXons are really bad quality (I have replaced many of them inside LCD monitors). TEAPOs are on the mediocre side now especially because they don't take heat too well. Too bad, since they had some good series in the late 90's. The lower voltage CapXons tend to bulge and leak while the high voltage ones exhibit some sort of internal corrosion that eats away the internal wires that go to the snap-in connectors. This is really bad since it leaves the current unfiltered and it can make the the active PFC circuit to go up in smoke. Another thing that has been hypothesised is that bad main capacitors make the active PFC coil burst up in flames. This is one of the problems that plagued many FSP models (like the Bluestorm II) - there are many posts on tech forums about it. 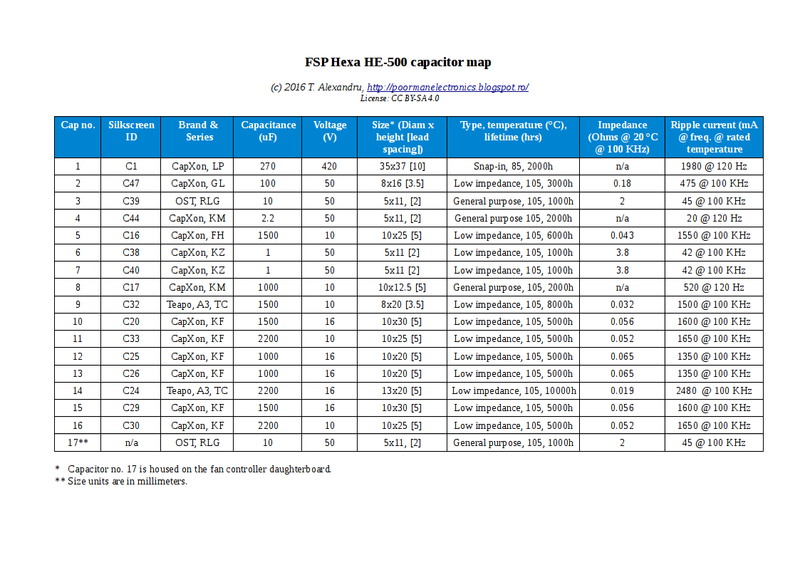 Then I made a table which contains all the information about the old capacitors. 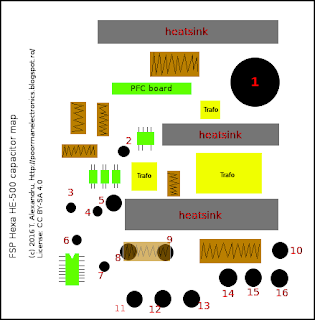 The specifications were extracted from the datasheets released by CapXon / Teapo / OST. Luckily, they were easy to find. 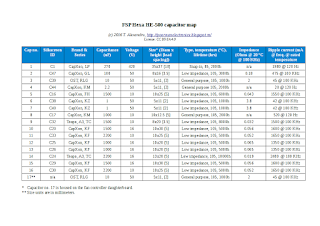 In case you have a similar unit, you can use this table to choose capacitors with similar characteristics. Word of advice: make sure to also look at the size, see why below :P.
Quite the difference between the two. 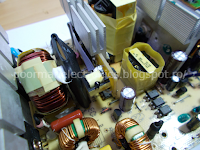 Making way for the capacitor. 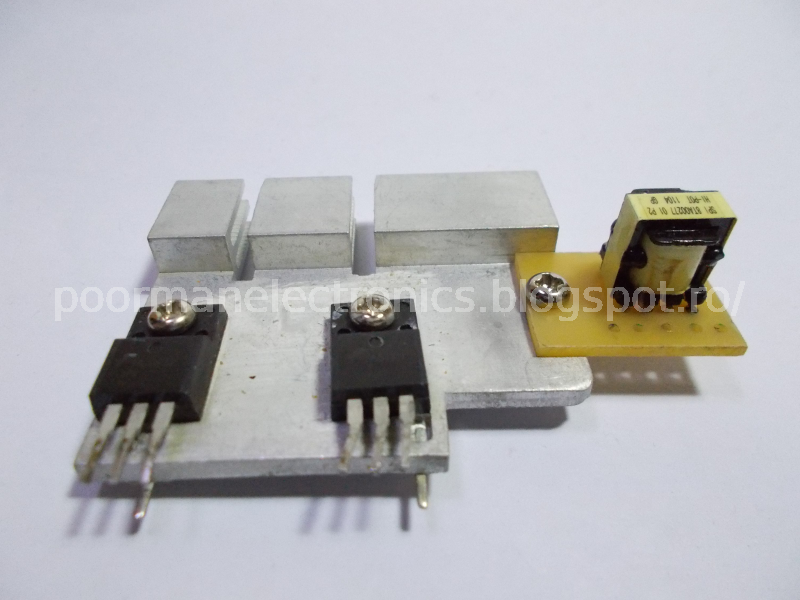 A resistor, a transformer and a coil had to be relocated. It all turned out well in the end, nothing was mounted in reverse and the voltages are in spec. The distance between the SATA / Molex connectors is too small, I needed a Molex to SATA adapter to connect both the HDD and DVD writer. Would I get one again? Probably, if the price was right. 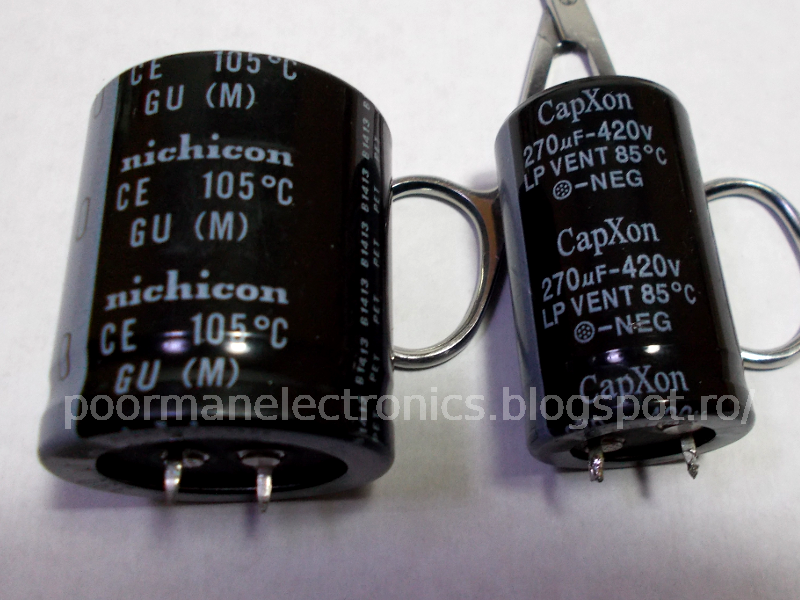 But in all honesty after having to replace each capacitor, I'd rather save up some money and get a more expensive model, maybe another FSP - but Japanese capacitors are a must. 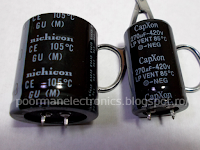 I used power cap Nichicon 270uf 450v, not moving any transformer. 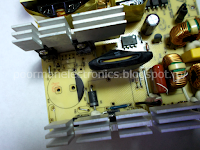 I use some hard wire to solder. on output stage, I replace all capxon with equivalent low esr Panasonic capacitor. Good work, this will ensure a long life for the PSU. 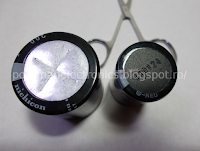 Too bad I didn't find a smaller power capacitor at the time. Anyway, there is already 1 year since the recap, and the PSU still works great. These Panasonic caps are really good, too bad they're not used more often.